January Machine is a book-length poem comprised of sonnets and sonnet sequences interrupted by static. of silence a new consciousness. I am putting back my body. 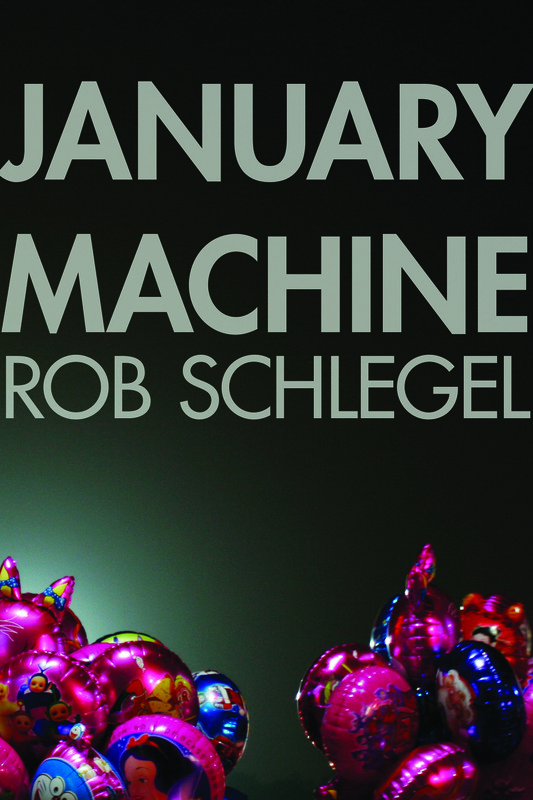 "Reading January Machine is overwhelming and emotional, cresting through the even rhythm of Schlegel’s three- and four-line stanzas before diving down into formal interruptions like the titled 'Static' sections. I got lost in the rhythm, my selfhood dissolving and becoming another reflective if fractured material in the landscape." Read the full review. "…the statements it emphasizes linger and fester, its tightly fitted lines (many in quatrains) giving voice to our current confusion and concern: ‘Saint Ice, Saint Anthony, / Saint Destruction, find for me / a water deep enough to drown / these straws of indifference.’ " Read the full review.